From the first scene throughout the last we follow a homicidal maniac bent on giving the naughty residents of a small town just what they deserve. Malcolm McDowell plays the sheriff and he’s hilarious with his sarcastic one liners and sharp wit that he’s known best for when dealing with these holiday horror flicks. This flick pulls no punches and isn’t afraid to be overtly brutal as one by one people fall to gruesome ends. It’s hard to review a flick like this without throwing out a few spoilers, and I’m gonna try to avoid that. What you can expect though is a definite homage to the idea of the original concept (Santa Claus only brings presents to those who have been good all year, and punishing lethally the naughty ones). There is a catatonic grandfather (as in the original) that awakens briefly to warn you of how “Christmas is the scariest damn night of the year” and even the antler impalement has been redone. All of the characters in this film that go out of their way to show the audience just how undeserving of a merry Christmas that they are get theirs, don’t worry, and in very shocking, over the top cruel ways. The body count is very high compared to most of the recent slashers, but really falls along the same slew of slayings as you’d see in your 80’s horror flicks with each death looking extremely realistic with the special effects, which are very well done. The back story of the killer is revealed, and in my opinion, a little stupid and dull compared to the original’s in which you actually felt sympathy for Billy. The killer should have remained anonymous, as I think that dumbs down the plot slightly, and the final climax battle for survival lacks a little luster based on how graphic the kills and buildup were, but the film fares out well regardless and the tension is still retained. 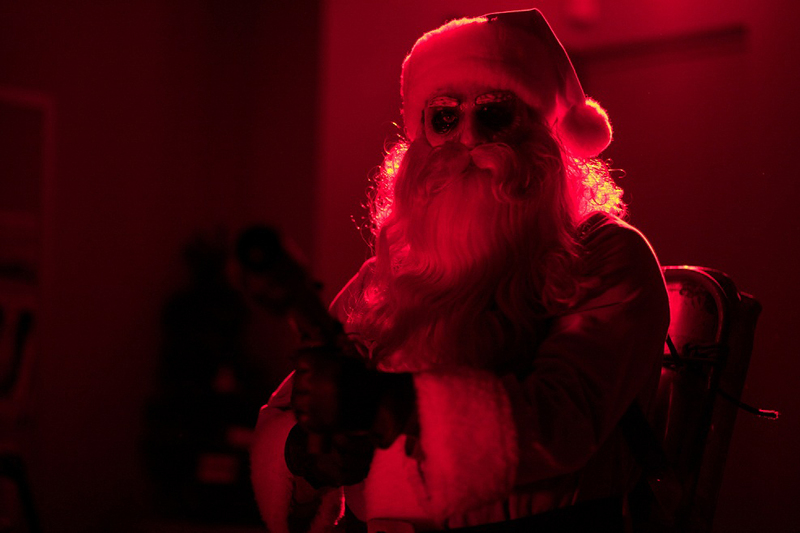 There is no Billy, no Mother Superior, no orphanage; but there is a good amount of psycho Santa flair that I think reboots the series in a traditional method. I’m so glad that the remake finally saw the light of day and it’s not nearly as horrible as many others that have graced the circuit. This isn’t one to avoid. It might not be everyone’s cup of egg nog but for what it’s worth it is definitely worth a look!